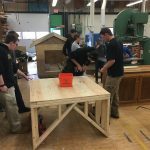 The House and Mill Carpentry Department trains students in all aspects of the carpentry field, beginning with use of hand tools and basic shop projects in grade 9, and concluding with stair construction, interior finishing, kitchen cabinet design and counter top construction in grade 12. 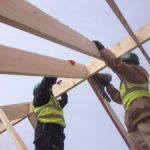 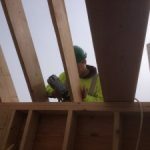 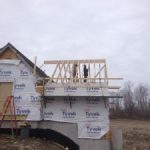 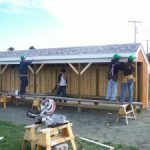 Students are also trained extensively on framing, floors, walls, ceilings, common rafters and hip and valley roofs. 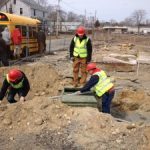 Off-site projects give students the on-the-job training they need to become employable. 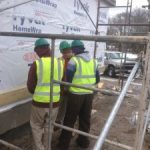 Application of technologies in the construction field. 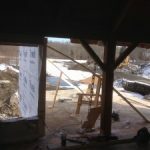 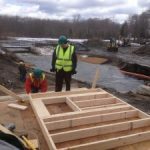 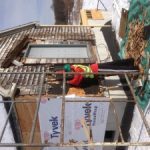 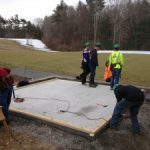 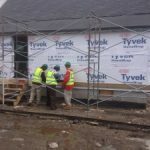 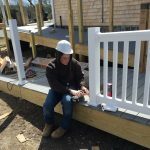 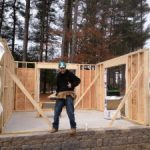 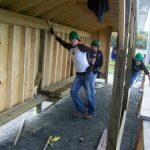 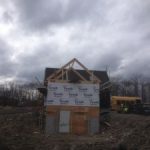 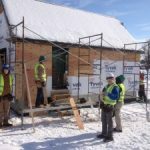 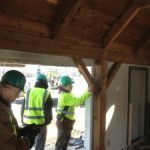 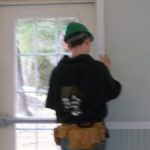 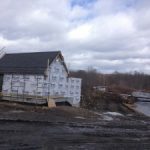 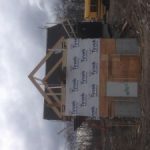 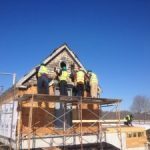 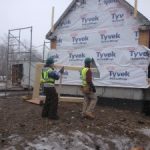 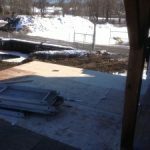 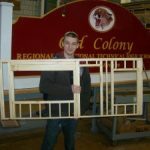 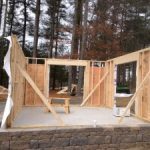 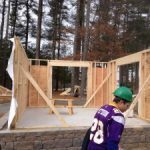 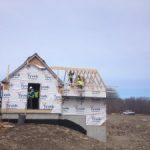 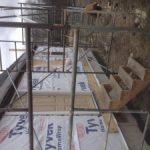 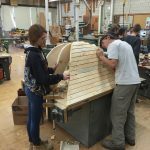 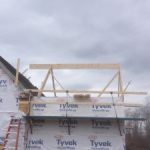 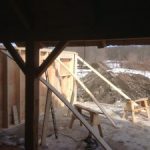 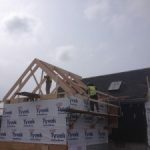 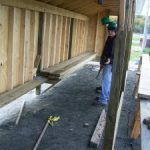 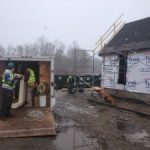 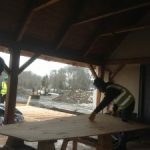 Under the direction of carpentry instructor Stuart Norton, students from the House and Mill Carpentry Department did extensive work to the interior and exterior of the Ted Williams Camp in Lakeville, Ma. 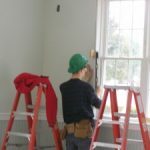 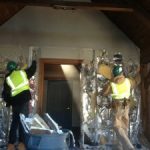 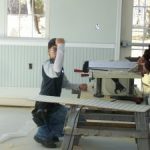 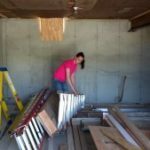 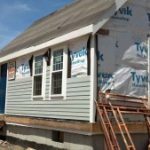 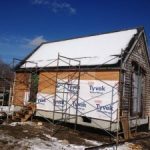 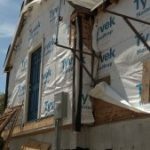 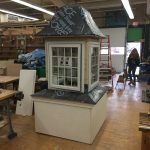 The remodeling and updating of the original structure, as well as finishing the interior of a large addition gave students an excellent opportunity to learn their trade. 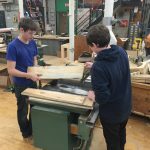 The results of their efforts are a testament to the training and dedication to student excellence by all of the House and Mill instructors. 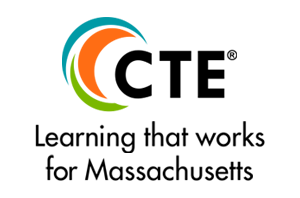 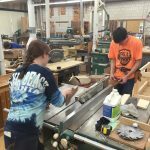 Request for offsite projects should be directed to the Vocational Coordinator Bethany Botelho. 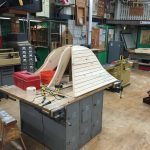 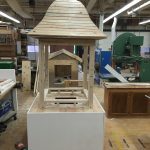 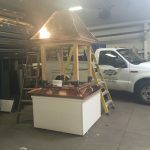 The students in the carpentry shop constructed a new cupola for the Plumb Library in Rochester to replace the existing one. 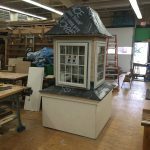 The cupola was constructed using composite materials and new construction vinyl windows. 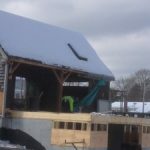 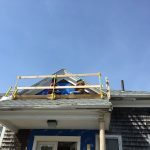 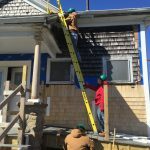 The cooper work was donated by Diversified Roofing in New Bedford. 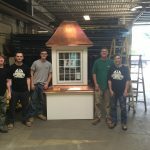 Students from both the Carpentry shop and Metal Fabrication/Welding shop visited their shop and saw first hand how cooper is formed, soldered and installed. 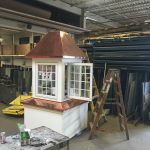 The new cupola is scheduled to be installed the Summer of 2016. 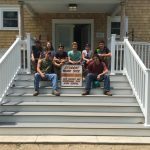 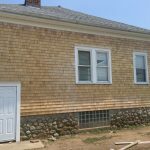 The Acushnet Grange Hall on North Main St has also benefited from the work of Old Colony students. 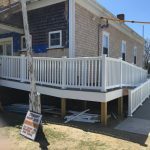 New exterior stairs and handicap ramps have been built. 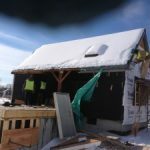 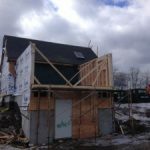 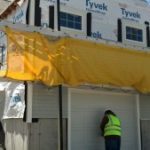 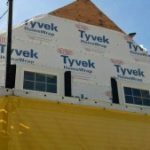 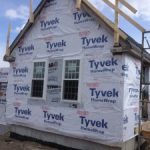 The exterior walls are being shingled, and new door and window casings have been built in the shop and installed on site. 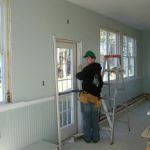 Other renovations to the building will be continuing in the near future. 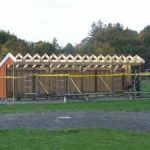 Pope Park in Acushnet now has new dugouts for their baseball fields that were built by Old Colony students. 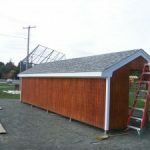 The baseball fields in Rochester were previously updated with new dugouts as well. 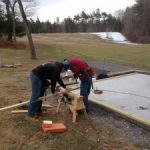 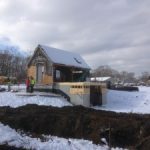 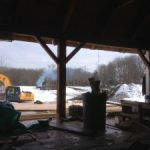 The Acushnet River Valley golf course was supplied with a large shed by the House and Mill students to add needed storage capacity for the course maintenance. 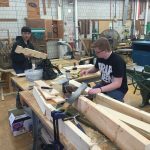 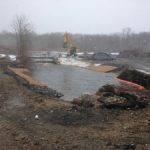 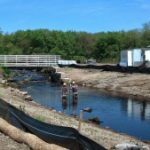 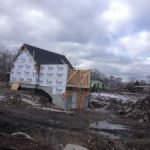 More recently, students had been working at the site of the old Acushnet Saw Mills. 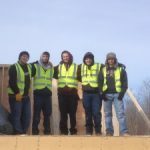 Extensive landscaping was done to the site and students built an addition onto the only original building remaining at the site. 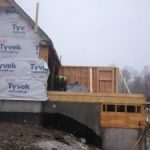 The building was moved from the back of the property onto a new foundation closer to the street. 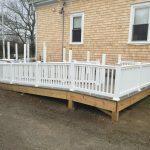 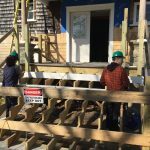 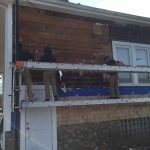 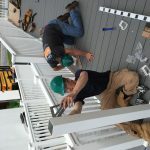 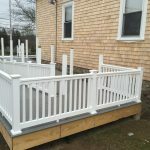 Students from Old Colony resided the exterior, built a deck with a handicap ramp, and totally rehabbed the interior of the unique structure. 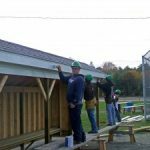 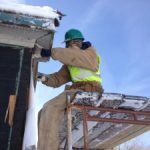 This type of alliance between Old Colony Vocational School and the communities that it serves are an essential part of our students education as well as a benefit to the communities. 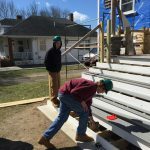 Students enjoy the opportunity to create something of importance and lasting value for the towns in our district. 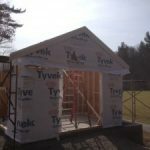 Back at the shop, two large panelized sheds are being constructed for the Acushnet Police department. 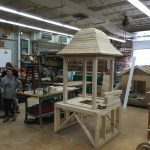 A belfry is being built, a storage shed is being finished,an octagon picnic table, and 12′ x 12′ pergola for use outside of the cafeteria is being built. 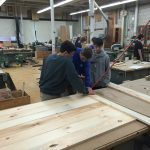 A 6 ft. oak trestle table was recently completed for our conference room and a beautiful maple,cherry, and red cedar chest was also completed. 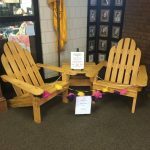 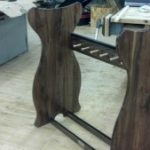 Adirondack chairs with tables, as well as several mission style tables are being built for several non profit raffle events. 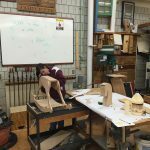 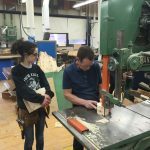 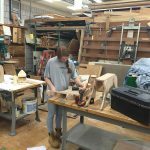 During the school year freshmen and sophomore students hold down the fort by completing standard, required projects such as saw horses, tote trays, step ladders, antique replica lamp tables, miter boxes, and more. 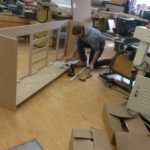 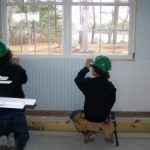 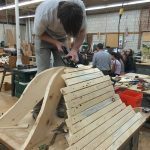 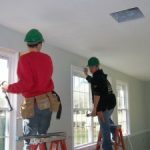 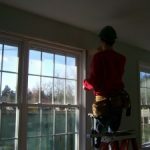 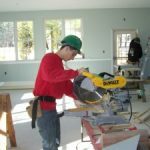 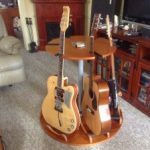 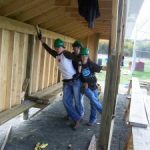 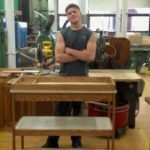 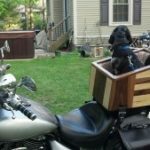 In addition to the required projects, students may also engage in maintenance and repair of school property,custom built projects for clients such as book cases, cabinets, benches, picnic tables,motorcycle dog carriers, guitar stands, and any number of other projects that create a worthwhile learning experience.